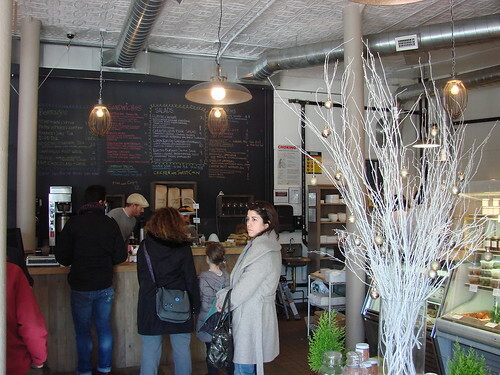 Steps from the Greenwood Avenue exit of the Fort Hamilton Parkway station, this bright and airy shop seems to already be developing a neighborhood following. Like the nearby Brancaccio's in Kensington they serve salads, take away meal components by the pound and artisanal grocery ingredients. 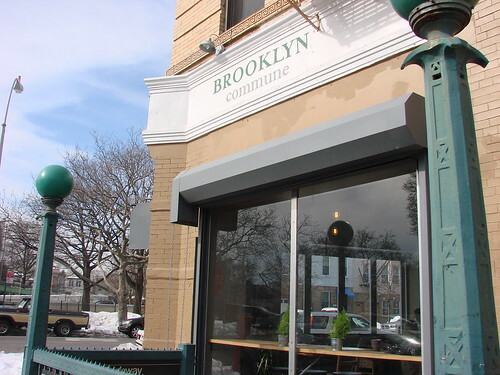 What sets them apart is the large (for the neighborhood, at least) and very pleasant open space with communal tables for enjoying coffee, sandwiches and soups among other eat-in options. So far I've had a chance to drop by for coffee and to pick up some bread from Orwashers Bakery. And I'm eyed their Amy's cookies and Ricotta Spread from Salvatore Brooklyn. A nice addition to the neighborhood this will be a great stop for Prospect Park picnic supplies when the snow finally melts. Check them out on Facebook for their latest specials and events.